Excitement is a word often associated with Paris, as is love. Both are present in abundance as the French Grand Slam approaches like a fully laden 747. Most of the main contenders have settled into their accommodation and have familiarised themselves with the facilities which are, as usual, outstanding. Around the practice courts casual observers have been delighted to see legends of the game Django Reinhardt and Stéphane Grappelli having a gentle trundle round the clay, the guitarist with an ever-present cigarette dangling from the corner of his mouth while the dapper violinist has had the small band of watchers in stitches by miming playing his racquet with a bow. They are not here to compete, of course, but to play an exhibition match for invited guests. It was a lovely moment when jazz-fusion pioneer Jean-Luc Ponty—much fancied to go deep into the second week of the tournament—was seen chatting with Master Grappelli after the practice session. Ponty exudes a quiet confidence, having taken home the trophy twice already in his career, most recently with his brilliant use of sequencers on the enduringly fresh jazz-fusion-electronica LP Individual Choice. Also on a practice court, though behind some hastily arranged hessian curtains, was number one seed Jean-Michel Jarre receiving last-minute coaching from his father. It was rumoured that raised voices were heard, though it is likely this was only a result of Jean-Michel whacking tennis balls at lurking paparazzi who demanded to see Charlotte Rampling. ‘We’re divorced,’ muttered Jean-Michel sulkily. ‘Concentrate!’ bellowed his father. Other magic moments occurred during the closing stages of the qualification rounds, when two of the most colourful entrants played an inconsistent yet wildly entertaining match that lasted well into the evening. 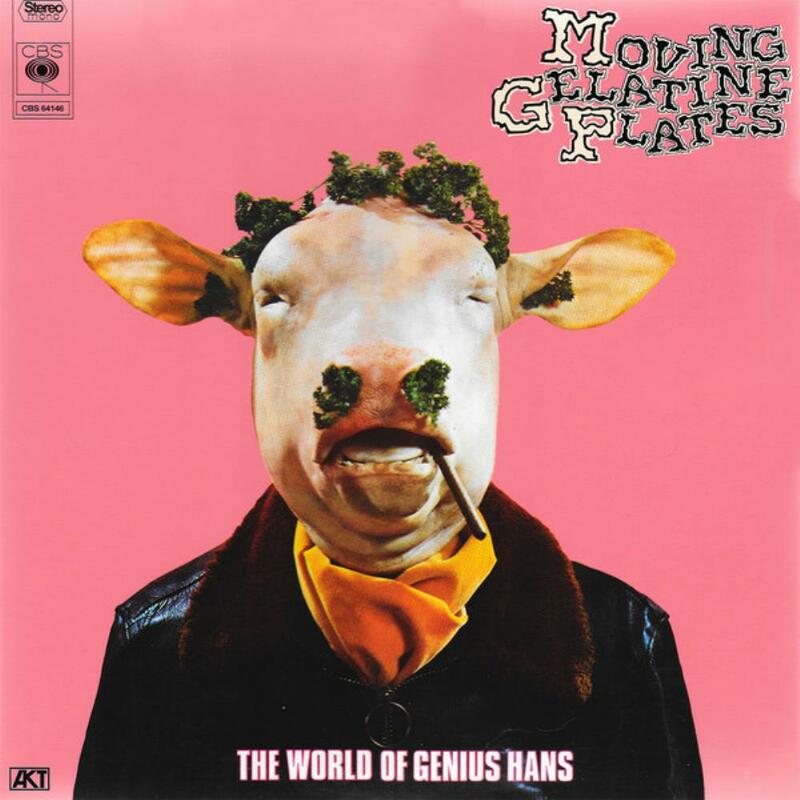 No-one gave Moving Gelatine Plates much of a chance against the internationally admired Gong, but the lesser known outfit put in a terrific effort across three fluctuating sets. What a treat for the small but enthusiastic crowd to see such musical madness on display. The Plates, as they are known to their fans, certainly have the musical chops to make it in the big time, though their wilful eccentricity—breaking into a weird version of ‘Three Blind Mice’ during feature piece ‘London Cab’, for instance—sometimes causes them to come unstuck. Unstuck is a word sometimes associated with Gong too. Unhinged is another. The pot-head pixies were all over the court, dancing, singing and generally taking the piss, though some of the match’s most exciting moments came when the saxophones of Didier Malherbe dueled and danced with the woodwinds of MGP’s Maurice Helminger. In the end, the deeper experience of Gong got them across the line. After all, MGP only made two albums and Gong are almost immortal. Still, the Plates made many new friends and vowed to return with more Gallic Zappa-ish shenanigans next year. The contrast between the mad good-humour of the above match with the scandal that followed could not be more marked. Less than an hour after the two teams downed racquets and opened a magnum of champagne, Gong were disqualified for being insufficiently French. In the subsequent press conference, David Allen, his normally cheerful Australian dialect noticeably strained, expressed disbelief in the tournament referee’s decision. Moving Gelatine Plates were awarded the now-vacant place in the main draw, but politely declined. Officials, panicking a little at the gap in the draw, made a hasty phone-call Jacques Loussier. The jazz pianist had been eliminated during the quals and was in the act of checking out of his hotel when he took the call. Reluctant at first—‘This is no place for a serious musician,’ he is reported to have said—the chamber jazz maestro was lured back with the promise of the #3 seeding, placing him in what many consider to be the most volatile quadrant of the draw. The entire draw appears below. Day Two will appear in a couple of days. The French Open series was inspired by, and is a tribute to, much-loved and greatly missed writer/comedian John Clarke [29 July 1948—9 April 2017]. Have you read John Clarke’s entries on Farnarkelling. My dad used to serve him in the bank quite often? For a person of my generation, the first French electronic acts I reach for are more modern like AIR and Daft Punk. Stay tuned for a brief appearance by those later generations. I remember the Farnarkelling radio spots well. Fabulous. And by all accounts (that’s a little banking joke, there) John Clarke was a lovely human being. With more to come, Michael! PS. The boy (first year of secondary school) was working on an assignment last night: the opening credits of ‘Catch Me If You Can’. As I was enjoying analysing them with him, I thought of you and your series. A candidate? Genius (Hans) post – a huge morning smile from here. Thank you! And with an MGP joke as well. Perfect. Good to hear, James. Yes, many are obscure. But that’s just my collection I guess! A la Eurovision, could we sneak in an Aussie as a reserve? … voilà Cleis Pearce. As to memories poked, I saw Stéphane Grappelli in Melbourne in the mid 70’s … very exciting. Perhaps an Australian Open, DD? I have a vague memory of that tour – Niels-Henning Orsted-Pedersen on bass pops up in my memory for some reason, probably inaccurately. Glad you enjoyed it, JDB. Plenty more to come. And thank you for commenting on the new banner. I was a little worried I’d be lambasted for putting up the flag of the Netherlands but the number of albums required for a vertical tricolour was beyond even my level of obsessiveness! Confession: it’s early enough in the day over here that it didn’t even register that your color bands were horizontal and not ‘upstanding’ French. Quelle faux pas! Cheers Bill. Will be serving this up for a while, I think. Urggh! Fine post ruined by vile cover of the Moving Gelatine Plates LP. No more, please! Christ on a bike! Make them stop. Sadly, they did. Really interesting music, despite the covers! On a 100% unrelated note I picked up a vinyl copy of Secret Machines ‘Now Here Is Nowhere’ today, it got rereleased last year but there’s only 1625 of them. I remember you were a big fan too and the original copies are exorbitant. Nice one. Love that album (and I suspect you will too). That was a really early post at VC. I think my copy is white vinyl, from memory. Weirdly enough I bought the CD back when it came out – it was never released over here on vinyl. I remember your post, it was a good ‘un. “Concentrate! bellowed his father”. Now that’s funny. I just went for a Saturday walk with Stephane the other day and I see Ponty took a walk also. He did. Great cover, isn’t it? Did you and Stephane buy ice creams? Yes he did but a fly landed on his. I said “I guess he wanted a bite Steph”. And he gave me that smile you were talking about. Mate, you’ve lost me. Even the innocent phrase “day 2 will appear in a couple of days” is playing havoc with my perception of time and arithmetic. You’re welcome to borrow the TARDIS if that would help. I must be familiar with some French artists, right? I know Ponty played with Zappa but pre-comment fact checking turned up it was Don “Sugarcane” Harris’s violin vice Jean-Luc’s on personal favorite “Directly From My Heart to You.” I’ve heard and read of Gong forever, of course, but never actually heard them nor thought them to be French (apparently a prejudice shared by others per your piece). My ignorance of things Gallic may make this a tough five days for me, but I’ll stick with it for the color commentary, which c’est magnifique. Stoicism is doubtless a virtue in these circs. Thanks for buying a tournament pass.